Mithilesh Kumar Srivastava, better known as Natwarlal (1912-1996/2009), was a noted Indian con man known for having repeatedly "sold" the Taj Mahal, the Red Fort, and the Rashtrapati Bhavan and also the Parliament House of India along with its 545 sitting members. He was a living-legend in his lifetime and a legend even after his death. He was born in Bangra village in Siwan district of Bihar, by profession he was a lawyer before he turned into a conman. He was wanted in over a 100 cases in eight States. He had been sentenced to a whopping 113 years in jail by various courts and had made eight daring escapes, each time from a different jail. He was a master of disguise who used more than 50 names to commit crimes. He once walked out of Kanpur jail dressed as a Sub-Inspector (in a smuggled uniform). He handed out an attaché case of money to the guards, hailed a taxi and drove away. He used to pose as a Government official and dupe foreign tourists by selling them famous Indian monuments. He forged President Rajendra Prasad's signature and sold the Taj Mahal thrice, and the Rashtrapati Bhawan and the Lal Qila twice !! A photograph of Mithilesh Kumar Srivastava, taken in 1996. 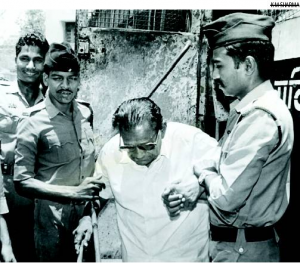 He was arrested several times and each time he just con the Police and The Police were left with no idea where he vanish.According to reports he was last seen on 24th June 1996 while he was being transported from prison to hospital for treatment.He vanished from custody that day at the New Delhi Railway station when he was being taken on a wheelchair from Kanpur to AIIMS for treatment. He was 84 of age at that time. 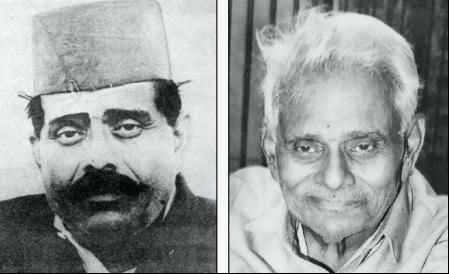 Back to Natwarlal–He also has a mysterious death,while his lawyer says that he died on 25th July 2009 at the age of 97,however, Natwarlal’s brother, Ganga Prasad Srivastava, subsequently claimed to have cremated him in 1996.He was in the wanted list with over a 100 cases in 8 States. He had been sentenced to a massive 113 years in jail by various courts and had made eight daring escapes,each time from a different jail. But the people of his native village take a pride that he belonged to their village and have decided to put up a statue of him as his monument,at the place,where his house once stood.And if the words of the people of his village are to be believed he was no less than RobinHood,who loot the rich and helped the poor…..
Interestingly, at the age of 84, he was on a wheelchair, old, ill and so disabled that the police were taking him to the AIIMS Hospital for treatment. On the way to the Hospital, at the New Delhi Railway Station, he slipped from right under the Policemen's nose. This was the last time he was seen, June 24, 1996. Today, his legend lives on and con-men of such shrewd, fraudulent ways are called 'X' with honour. Mithilesh Kumar Srivastava's life formed the basis of a famous Hindi film, also called 'X'. Mithilesh Kumar Srivastava's frauds have been mentioned in Rohinton Mistry's book 'Such a Long Journey'.